My Watermelon Moon: Baby Bunny! A long time friend and his absolutely adorable wife are soon to be blessed with their first little one- A baby girl! 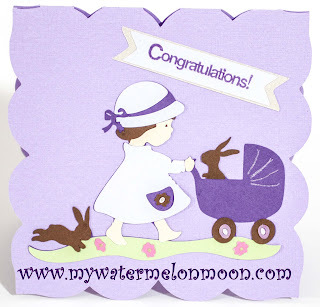 The mama to be has an obvious love for all things purple and chose a purple/lavender and bunny theme for her shower (and nursery I think!). I had no idea what gifts exactly to "shower" them with, but I knew I wanted to make a special little themed keepsake and matching card for the festivities. I hope you (and the parents to be) enjoy these as much as I enjoyed making them! 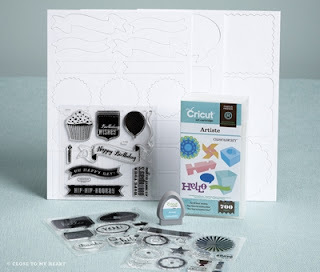 If you haven't heard the Cricut Collections by Close to My Heart are amazing! Those of you here from Favorite Product Friday... 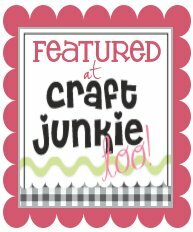 The Cricut Artiste Cartridge!!!! Come over to my site and check out this MUST have cartridge. Very cute! How nice of you to make something so personal for them! 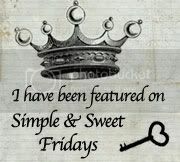 What a cheerful blog, I absolutely love the title picture! Thank you new crafty friend! :) HUGS! Thank you! :D Have a fabulous day! Just super darling, Melissa. 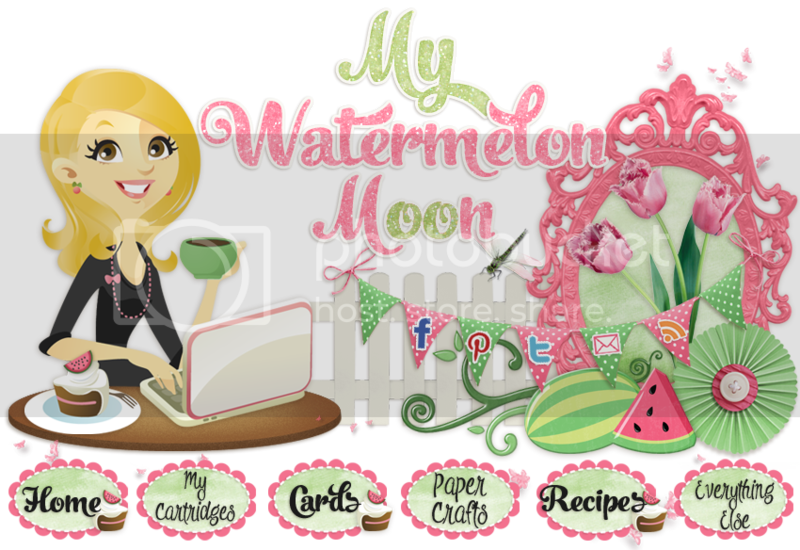 Your blog is also adorable, and so many cute things to see. I would love to follow you (if that's OK with you and you don't mind), and I'd also love to have you visit and follow me if you would. I love meeting new bloggy friends and gaining inspiration on every corner! Have a blessed week and I hope to see you soon. Thankyou for your sweet comments! What a sweet gift idea! So cute!! Thanks for linking up @ Keep Calm & Link Up! Can't wait to see what you come up with next week! Melissa, your amazing! So talented! Love this card and i love kates abcs cart !! Thanks for your sweet posts ! New follower :D from San Diego also !